The weather is finally warming up which makes ice cream my new favorite dessert (actually I eat ice cream all year long but I love it even more during the summer time). 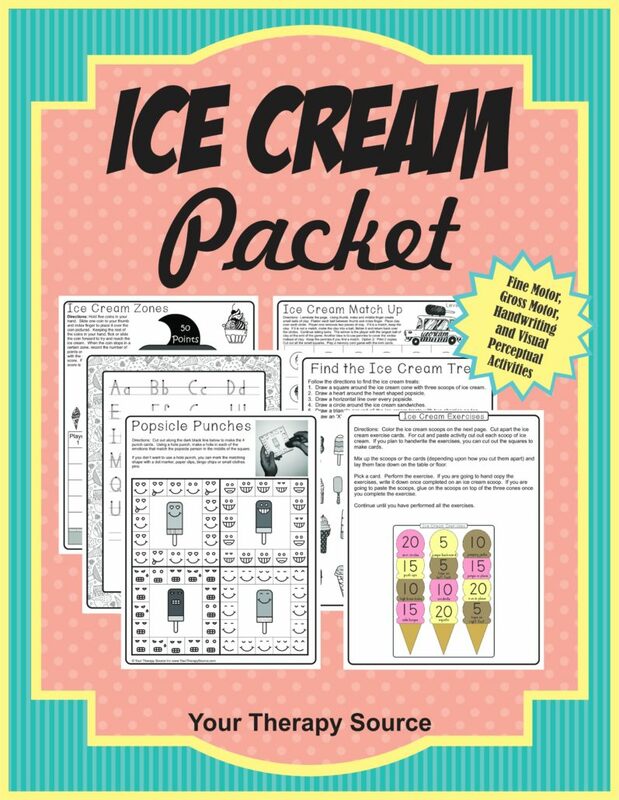 Here is a brand new Ice Cream packet that includes fine motor, gross motor, visual perceptual and handwriting practice with an ice cream theme. 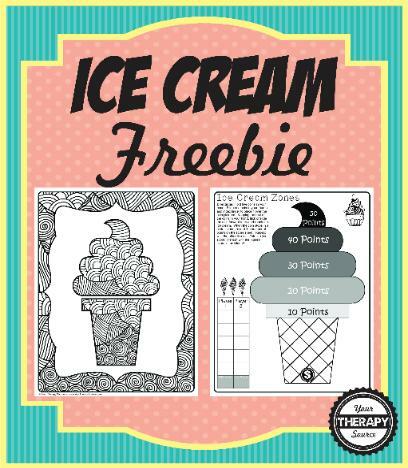 You can download two free pages – a doodle coloring page and a ice cream zone game. This new Ice Cream Packet is jammed pack with something for everyone. Here is a sample page of the completed craftivity. You can complete the sentence or a blank page is an additional option. It is available in Handwriting without Tears®, Zaner-Bloser® Style and New South Wales (NSW) Foundation Manuscript. 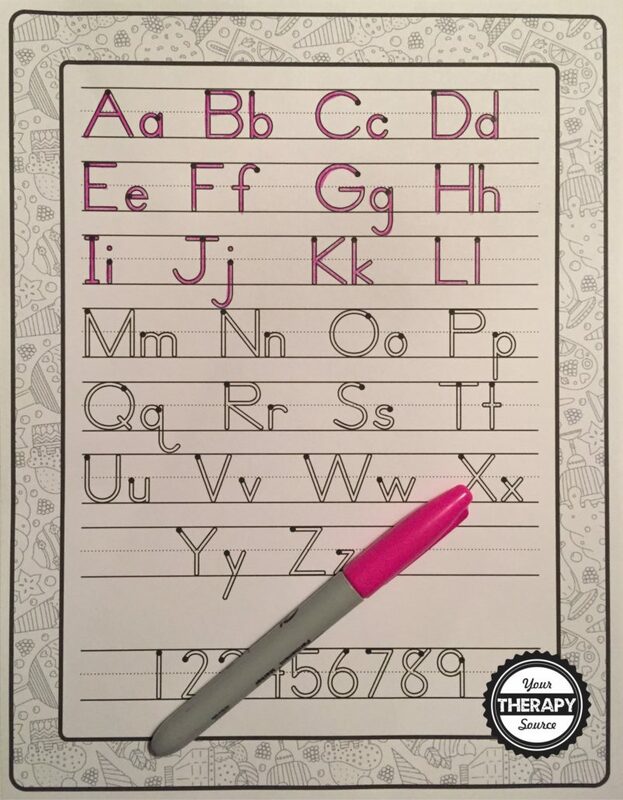 Here is an example of the Zaner-Bloser® Style handwriting practice template page. Each capital and lowercase letter includes a start dot. The complete Ice Cream Packet includes handwriting practice template pages for Handwriting without Tears®, Zaner-Bloser® Style and New South Wales (NSW) Foundation Manuscript. Get more information on the complete Ice Cream Packet. Practice fine motor, gross motor, visual perceptual and handwriting activities with this ice cream themed packet. All activities are in black and white. FIND OUT MORE.